Is it possible? 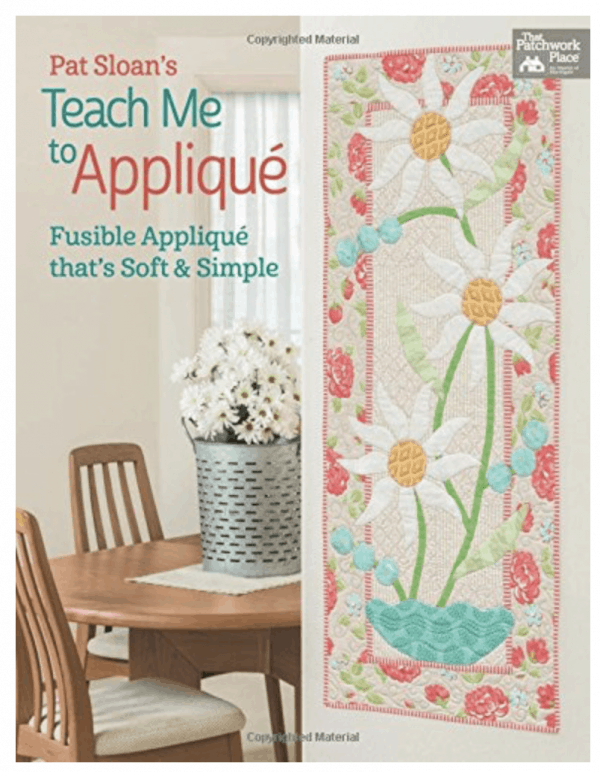 Fusible appliquE that’s soft and drapey–and easy? Yes it is, and Pat Sloan shows you how. An extremely popular teacher and designer with a huge online radio show following, Pat shares her fusible techniques for machine-stitched quilts that are as delightful to touch as they are pleasing to the eye. You’ll love what you’re about to create! Projects range from wall hangings to banners to bed quilts, all with Pat’s fresh and cheery style. Gain confidence and get all your questions answered–Pat shares loads of tips throughout.